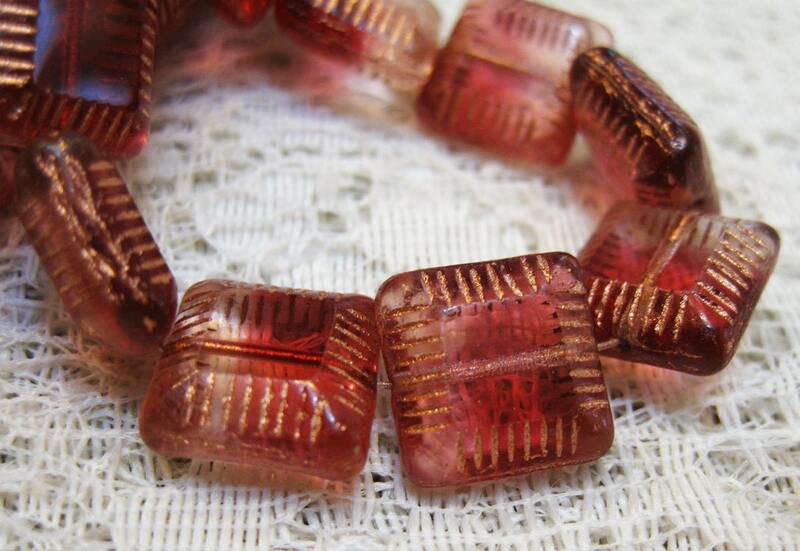 Gorgeous transparent fuchsia chunky carved Czech pressed glass square beads with fancy gold finish around the edges. Antique looking style. 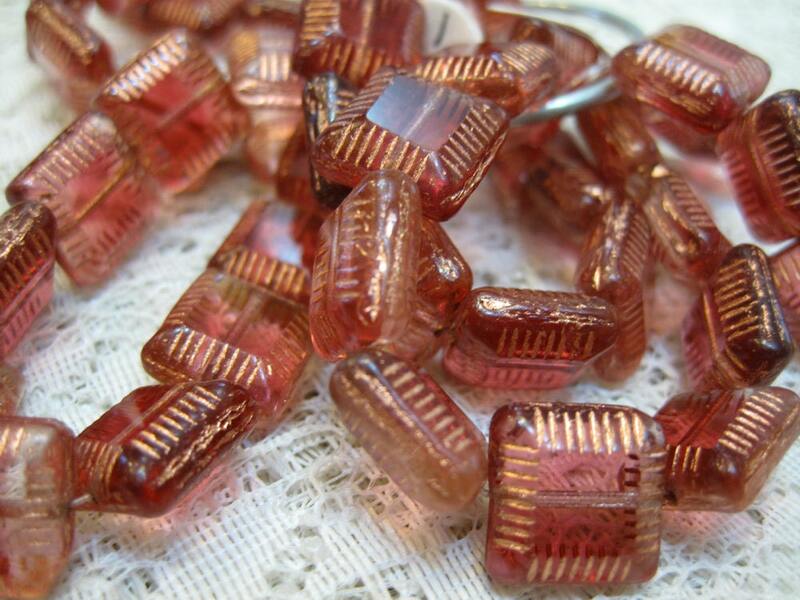 Beads are 14mm square. 6 beads to a strand! Radiant orchid palette! These would make beautiful earrings!! Love these beads. So pretty!